Synopsis: What happens to a new love when an old one appears to claim first rights to a man and a marriage? Just as Telluride Medical Examiner Jane Wallace and Irish writer Eoin Conner take their first steps toward romance, Eoin’s beautiful wife Fiona arrives to resume her long-abandoned life with Eoin. When Eoin discovers that Fiona was responsible for the denial of their annulment, he returns to Ireland to find the proof to free him to marry Jane. After Fiona is found dead in her hotel room, Eoin is indicted for her murder. Unwilling to leave the matter solely in the hands of Irish authorities, Jane goes to Ireland to follow the evidence wherever it leads. She leaves behind a tangle of problems in Telluride, where it is left to her trusted friend Father Matt to unravel the mysteries at home, unaware that they hold the key to Jane’s mystery abroad. My review: Riveting follow-up to Dying for Revenge. Then again, I’m probably biased because I’m the publisher of this book! Amazon Synopsis: New York Times Bestseller: Sweeping from the 1850s through the early 1920s, this towering family saga examines the price of ambition and power. Joseph Francis Xavier Armagh is twelve years old when he gets his first glimpse of the promised land of America through a dirty porthole in steerage on an Irish immigrant ship. His long voyage, dogged by tragedy, ends not in the great city of New York but in the bigoted, small town of Winfield, Pennsylvania, where his younger brother, Sean, and his infant sister, Regina, are sent to an orphanage. Joseph toils at whatever work will pay a living wage and plans for the day he can take his siblings away from St. Agnes’s Orphanage and make a home for them all. Joseph’s journey will catapult him to the highest echelons of power and grant him entry into the most elite political circles. Even as misfortune continues to follow the Armagh family like an ancient curse, Joseph takes his revenge against the uncaring world that once took everything from him. He orchestrates his eldest son Rory’s political ascent from the offspring of an Irish immigrant to US senator. And Joseph will settle for nothing less than the pinnacle of glory: seeing his boy crowned the first Catholic president of the United States. Spanning seventy years, Captains and the Kings, which was adapted into an eight-part television miniseries, is Taylor Caldwell’s masterpiece about nineteenth- and early twentieth-century America, and the grit, ambition, fortitude, and sheer hubris it takes for an immigrant to survive and thrive in a dynamic new land. My review: This is a very long book, but I’m enjoying it immensely (and will likely be enjoying it for the next few weeks, given the length!) Characters are well-developed and the story engaging and compelling. Some believe the family in the novel is the Kennedy family, but the author has denied this. It’s easy to see why people think it is because there are a lot of similarities. A lot of differences, as well. Amazon synopsis: Our Mother Mary implores us to pray the Rosary—but why does Mary want us to pray the Rosary? Meggie chronicles her journey from an active avoidance to a deep love of the Rosary as she shares the meditation aids and techniques that—together with her insights as to why Mary wants us to pray the Rosary—have redefined her relationship with the Rosary. A chapter is devoted to each of the four Mysteries of the Rosary containing Scripture for each bead of the Rosary, beautiful color artwork for each of the 20 decades by artists such as Raphael, Murillo, Rubens, and many others. “Bead by Bead” includes a concise history of the Rosary, from its earliest beginnings to the present day. A tutorial is included for those new to this devotion and an appendix with helpful resources for those who wish to dig deeper into Catholic theology, Mariology, apologetics, spiritual growth, lectio divina, and writings of the saints. My review: Meggie K. Daly’s Bead by Bead: The Scriptural Rosary is a terrific resource for anyone who wants to take their daily recitation of the Rosary to a whole different–and higher–level. Using this book, the reader has at his/her disposal a line of scripture for each bead that will help the reader to reflect more deeply on the mysteries and prayers of the Holy Rosary. Includes background, history, resources and an appendix, as well as the author’s journey towards a Scriptural Rosary. Highly recommend! 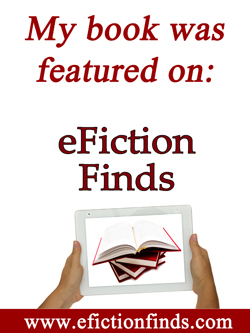 This entry was posted in Catholic fiction, Catholicity, reviews, Theology of the Body, Writing and tagged Bead by Bead the Scriptural Rosary Meggie K. Daly, Dying for Compassion Dr. Barbara Golder, Taylor Caldwell Captains and Kings, The Lady Doc Murders #2. Bookmark the permalink. I’m eager to read the second in the Lady Doc Murder series! And I’m also interested in Bead by Bead, which I’ve seen reference by so many bloggers. Thank you for linking up!